It's Saturday!!!! Can we all take a minute and cheer that that the work week is over and we can all relax for the next two days? For me, I'm literally relaxing, especially since I came home from work yesterday and cleaned my car inside and out. It really needed it and I'm so happy it's out of the way so I can enjoy the sunshine! Before enjoying the sun though, I am here sharing another Bestie Twin Nail design with the lovely Amanda from Fashion Footing. After we had so much fun creating last month's floral design, we decided to attempt to do a Bestie Twin post each month! 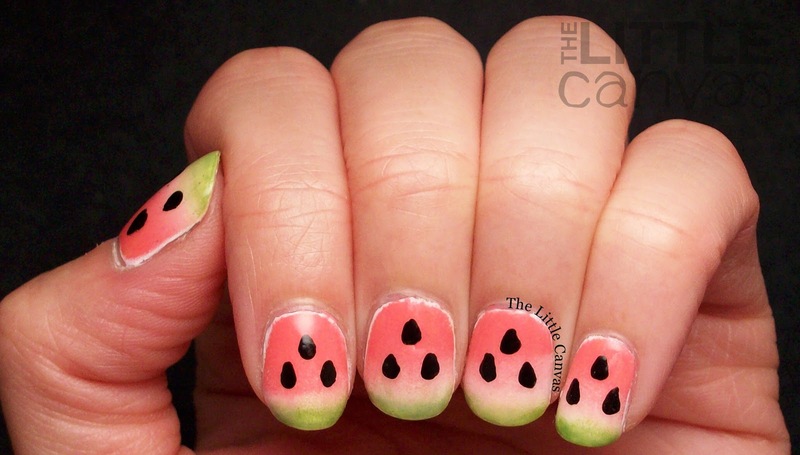 For today's post, we have done watermelon nails. Now, I've created a few of these on the blog but I've never truly been happy with the outcome. This time though, I'm really loving how they turned out and cannot get over how good they are! Okay, the seeds could have been a little smaller, but regardless, I'm happy! Isn't the gradient neat?! I started off with a base of white polish, and once it was dried I grabbed my make up sponges. I painted a good portion of the sponge with Zoya Wendy, a gorgeous melon colored polish from the new Tickled collection. I then left a tiny blank space on the sponge and painted on some Tilda, the bright green polish from the same collection. After I had the spacing just right between the green and melon polish, I did a quick swipe of white polish in the empty space, then dabbed it on the nail. The end result, a perfect looking piece of watermelon! 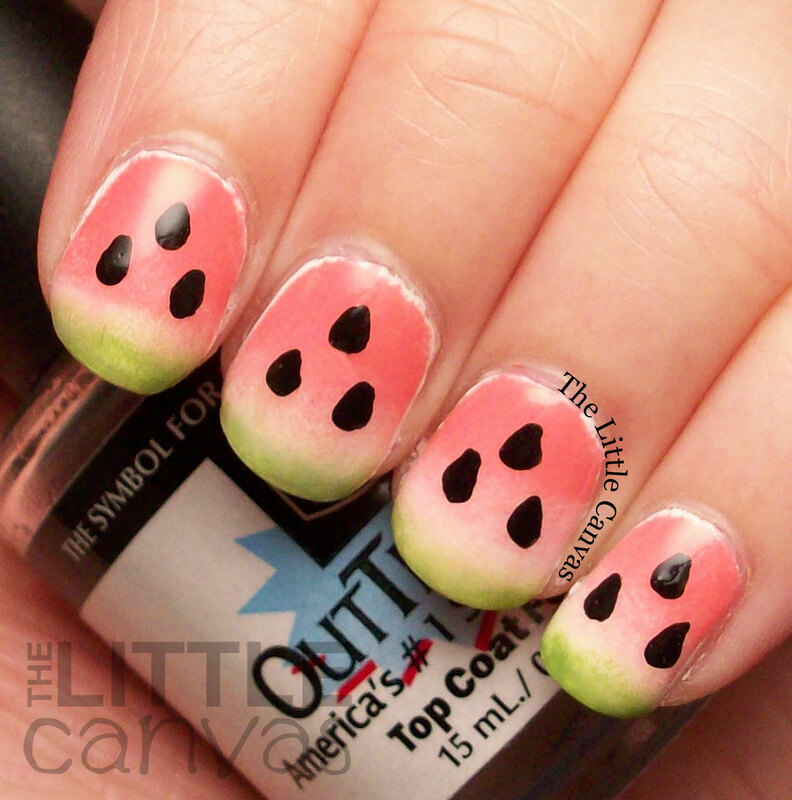 I applied a quick top coat, then started working on my little seeds. Or should I say, large seeds. Don't get me wrong, they're cute, I just think they would be cuter if the seed wasn't taking over the whole watermelon. 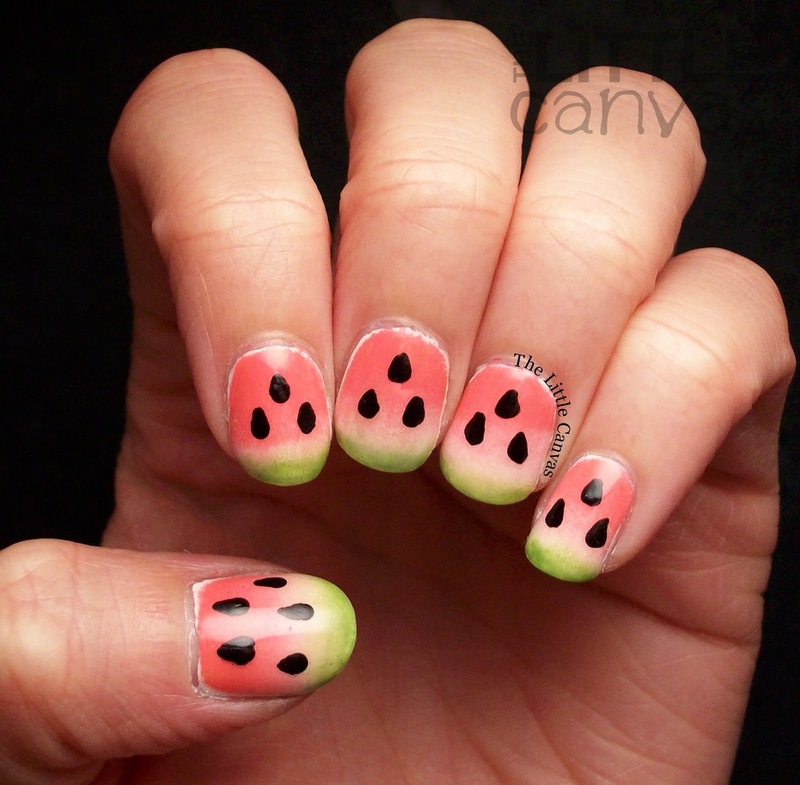 I really love the gradient for the watermelon. I've seen a few girls do this same sort of look on Instagram and I knew I had to try it. Don't ask me who, because honestly I can't remember, I just know I've seen it bunches. 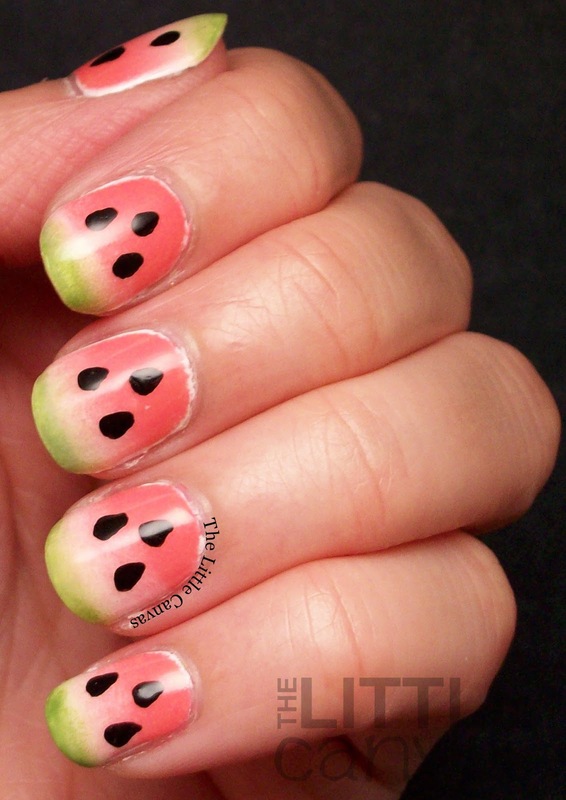 Truly though, the nail looks like a real piece of watermelon, especially near the tip of the nail because the gradient makes it look like the rind! What do you think? Liking this design? Loving the gradient? Think my seeds should be smaller? Do not forget to check out Fashion Footing's post. I already know hers are amazing. She sent me a photo the other night and I really wish I had her design on my nails. Go over and check!